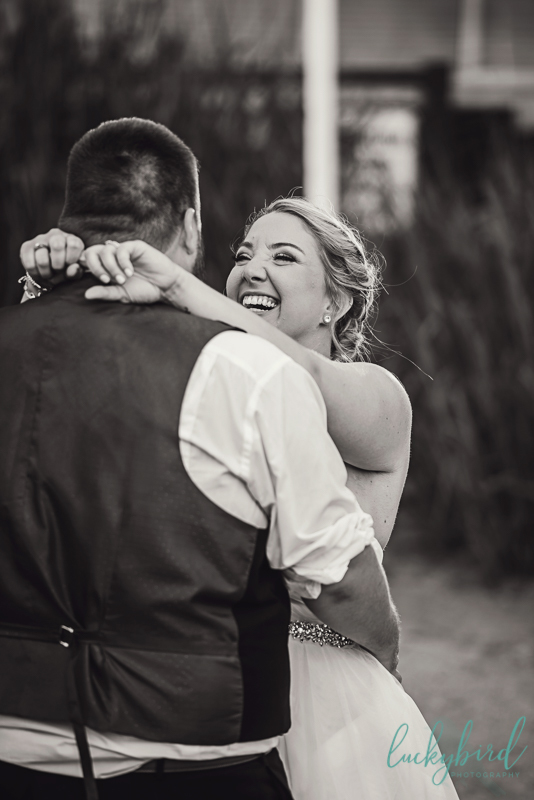 Alexa and Wade’s day was truly so much fun to be a part of and this couple had me smiling and laughing all night. 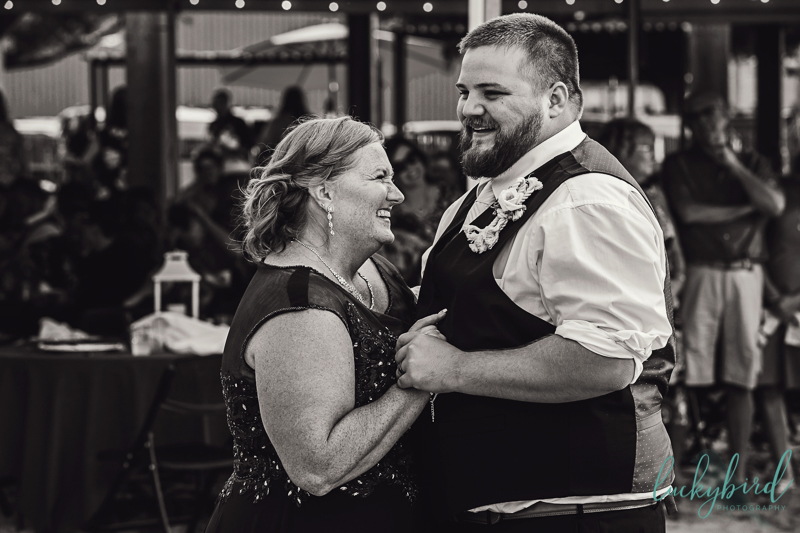 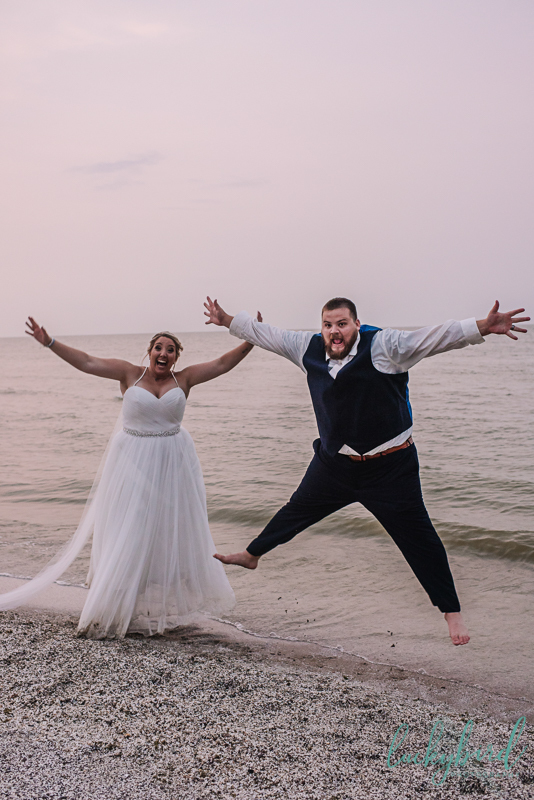 These two have been together for 12 years and this wedding was a long time coming! 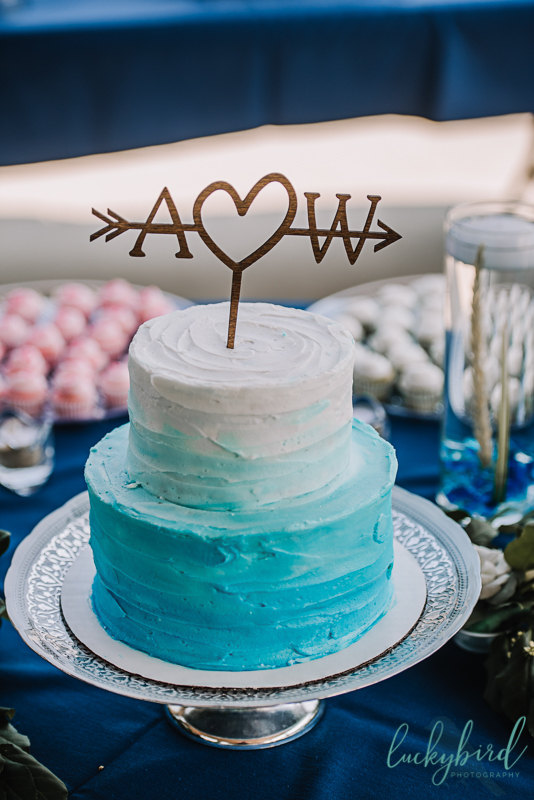 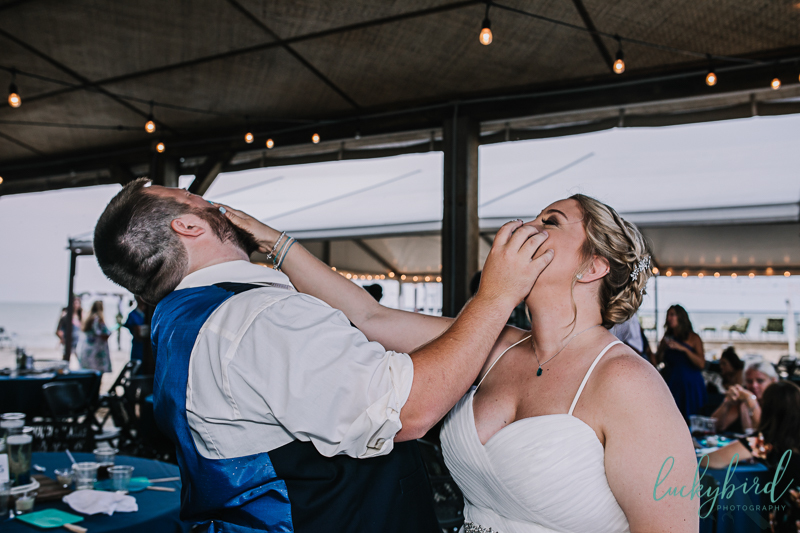 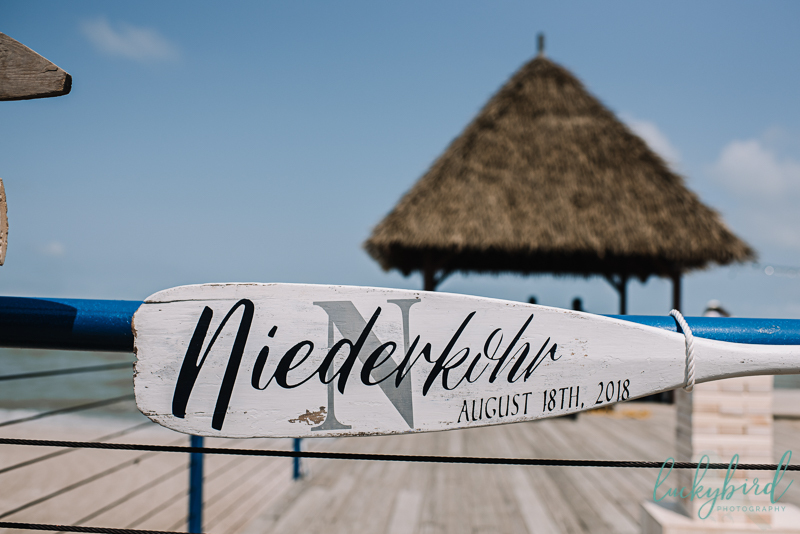 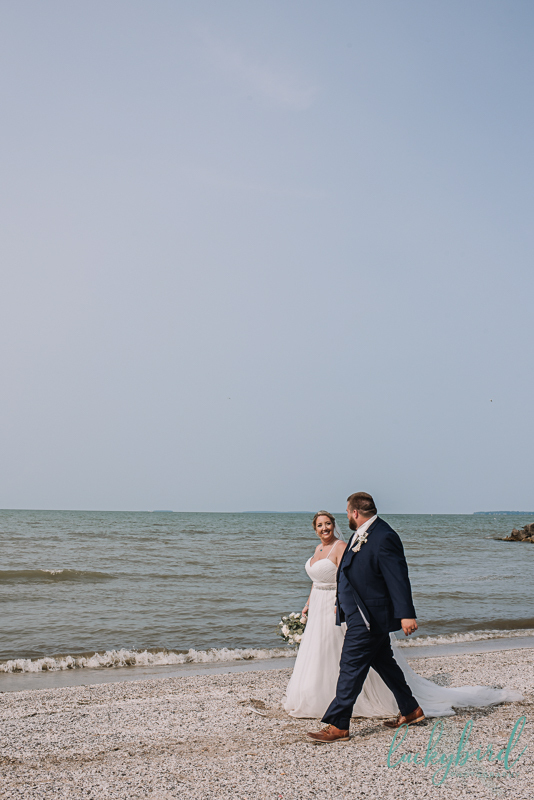 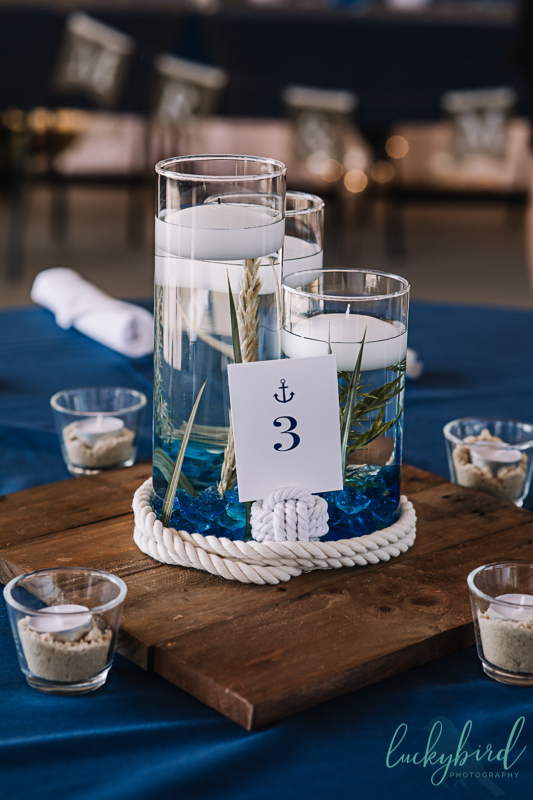 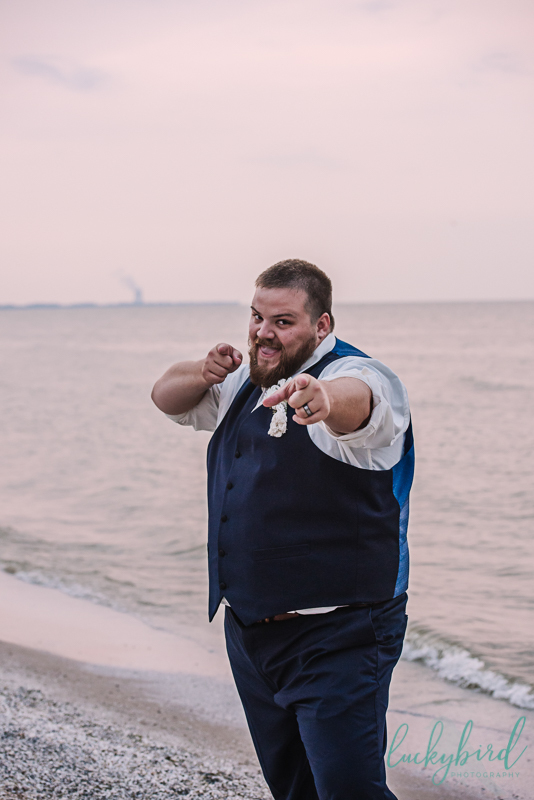 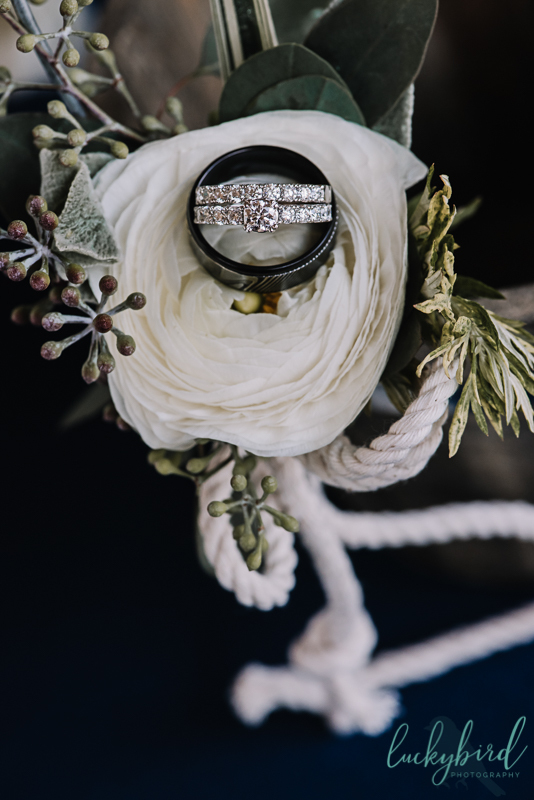 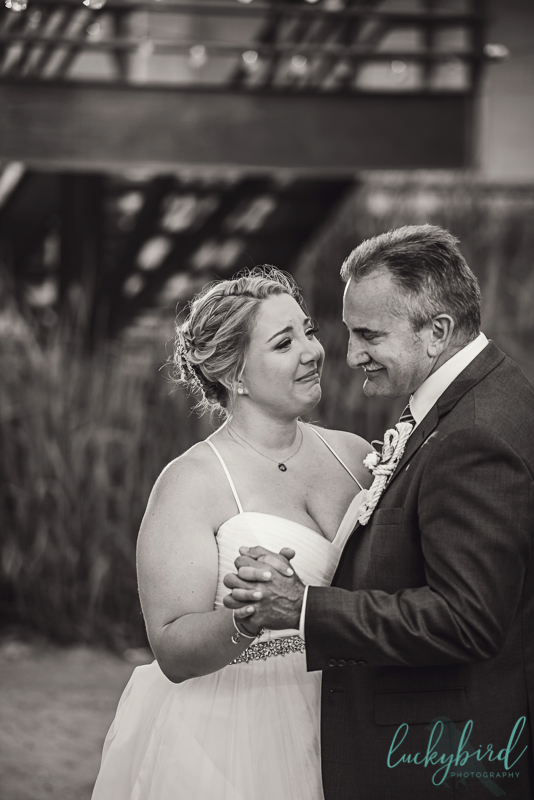 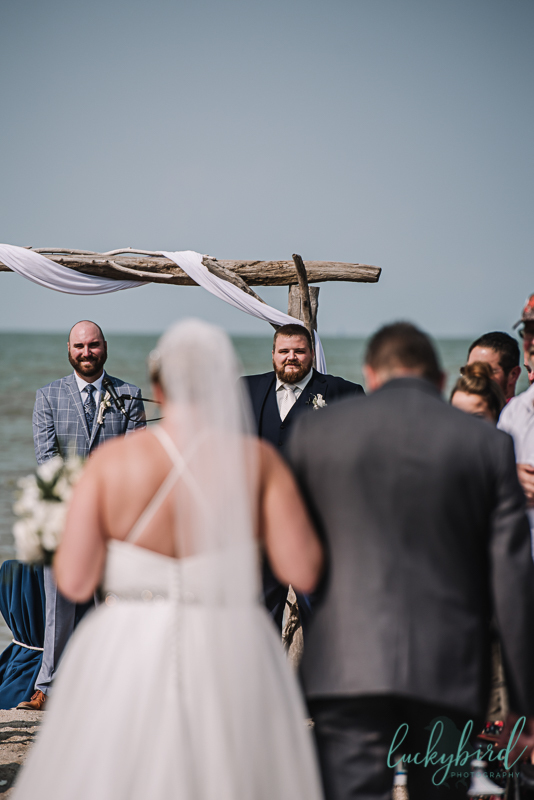 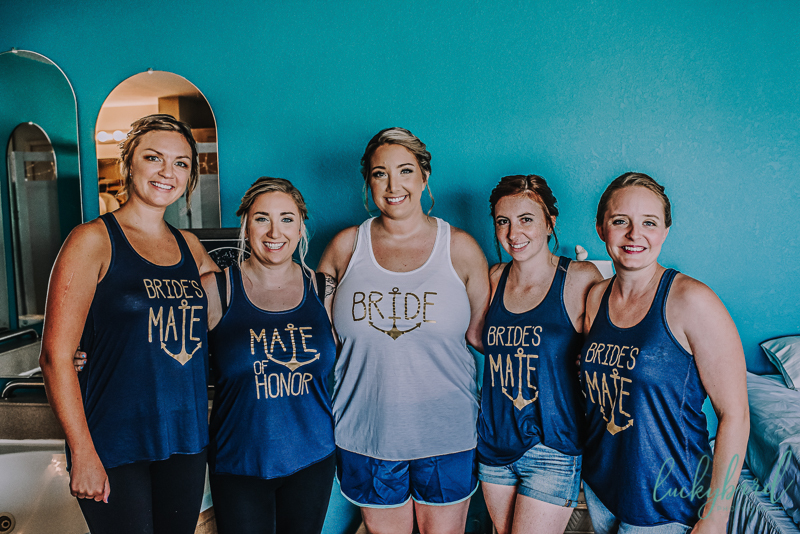 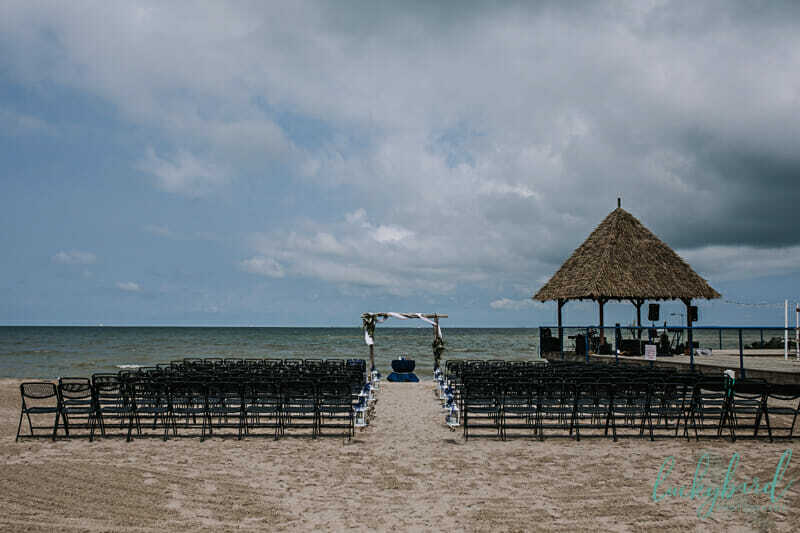 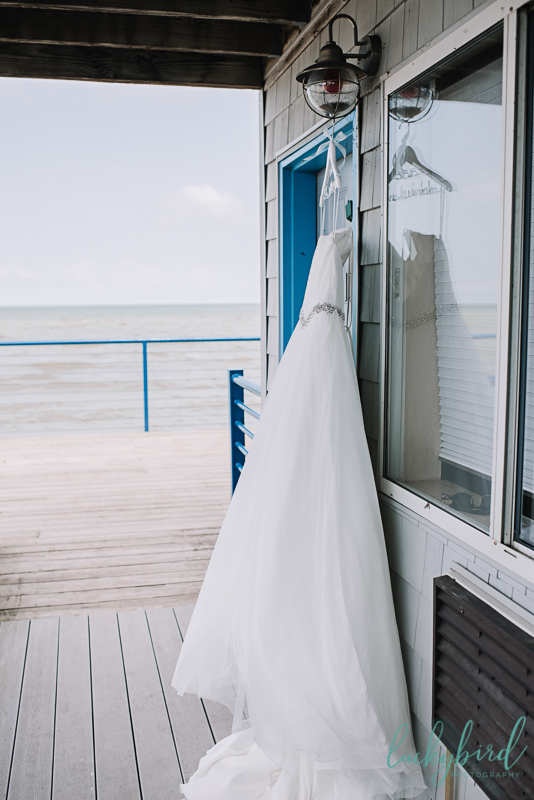 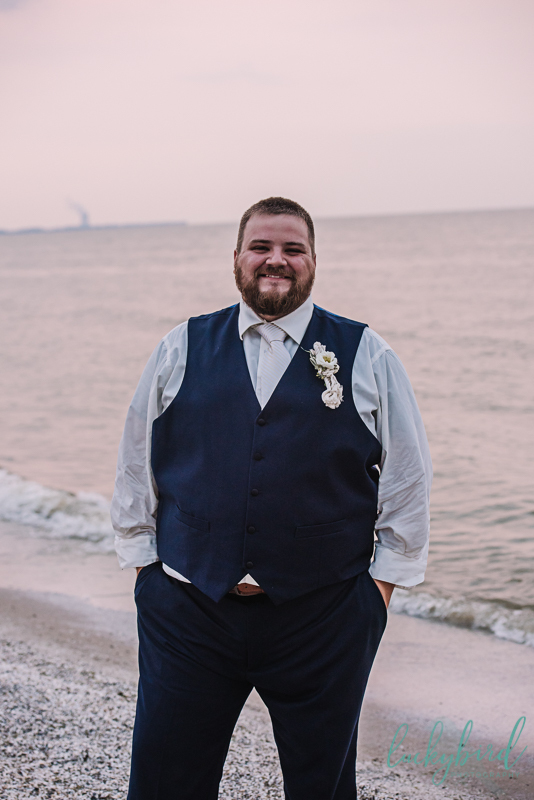 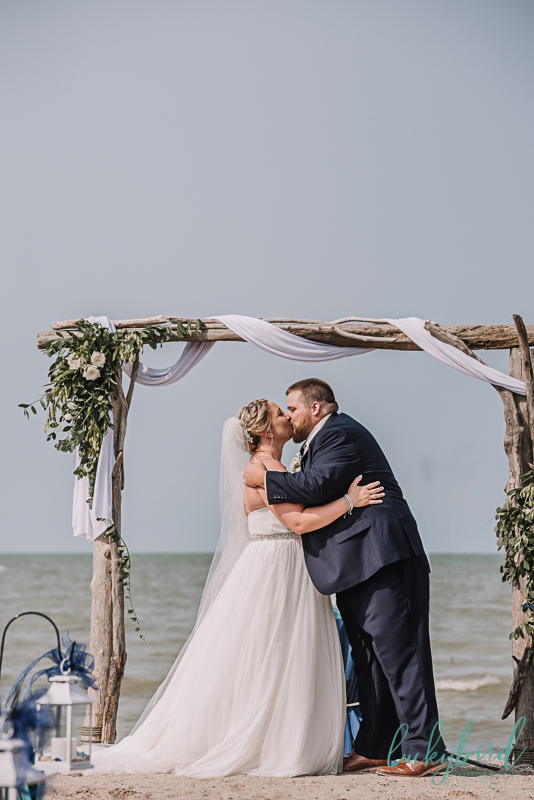 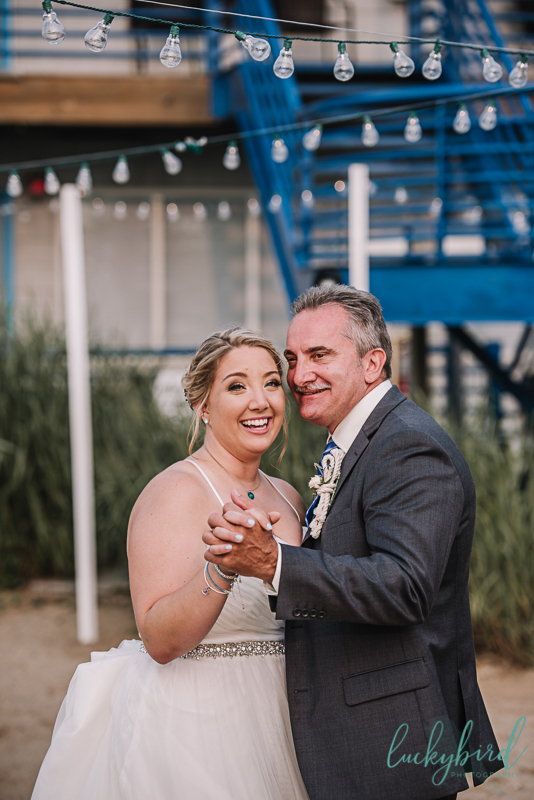 Their nautical themed Dock’s Beach House ceremony and reception were absolutely perfect! 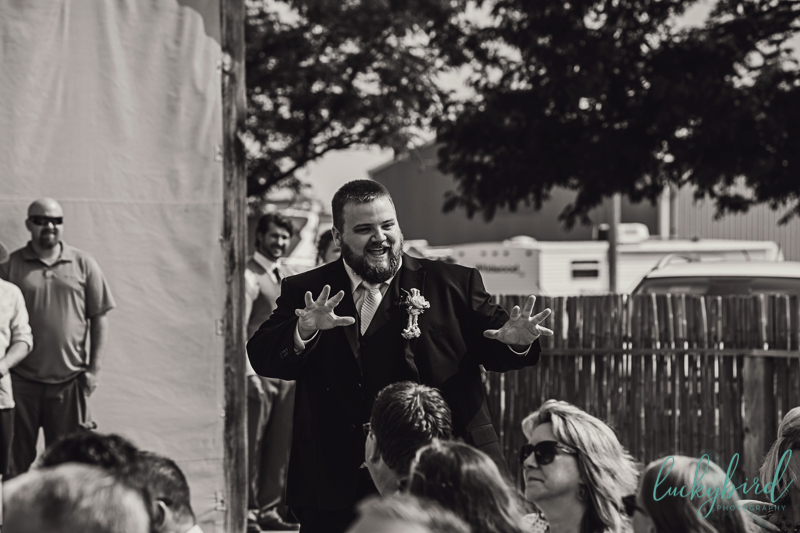 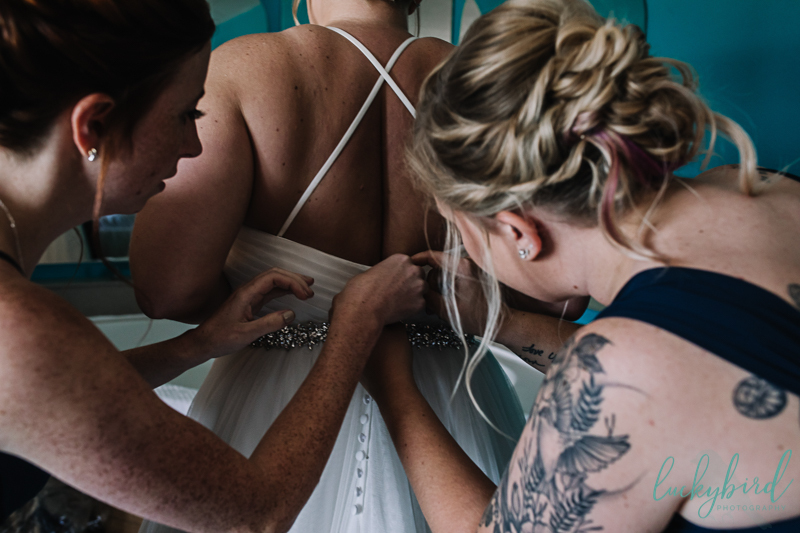 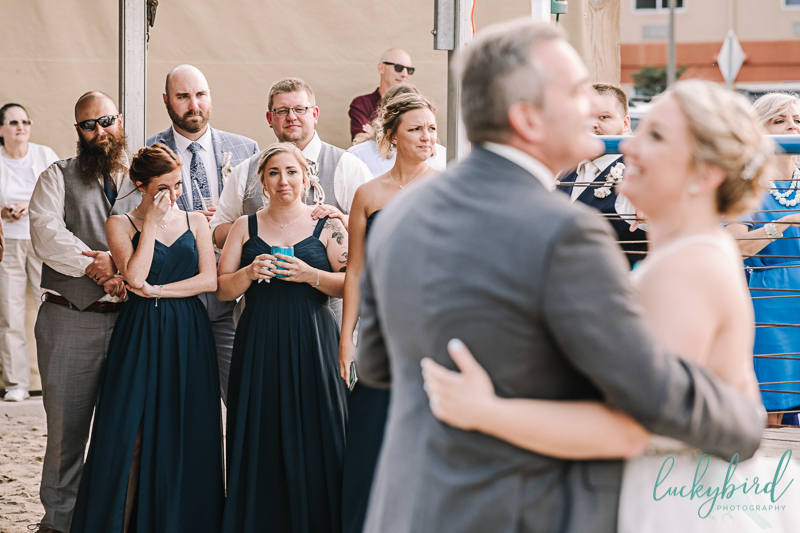 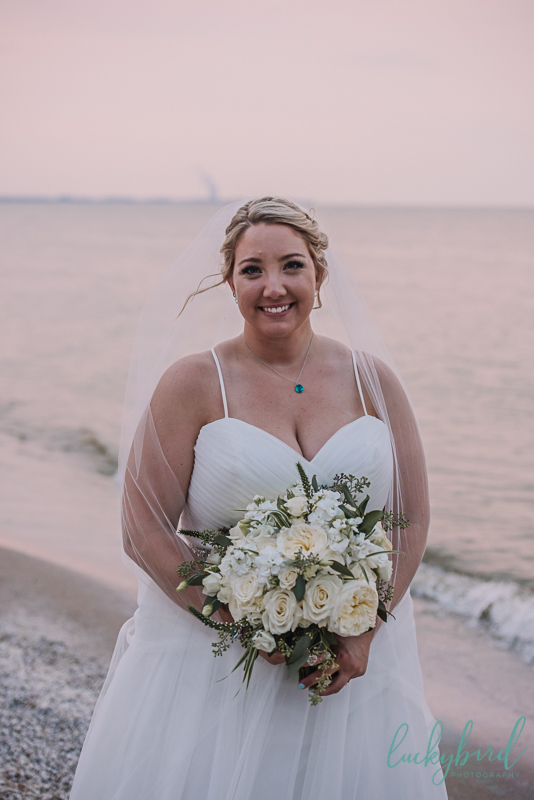 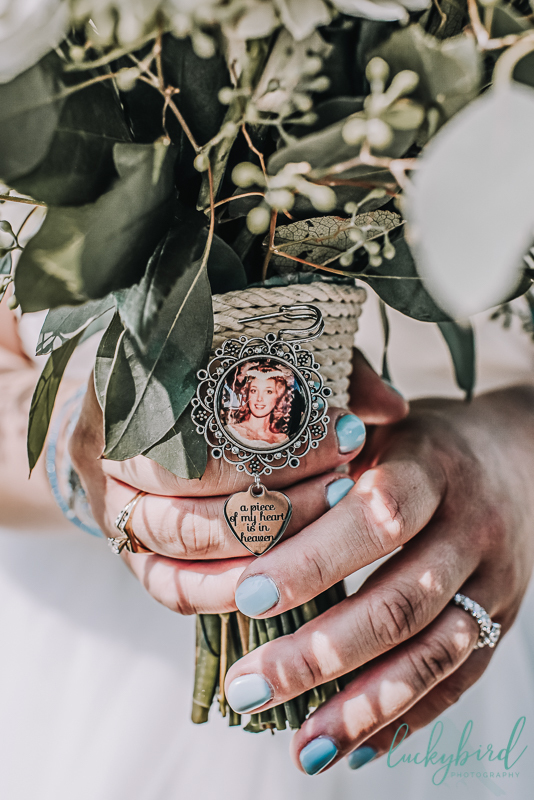 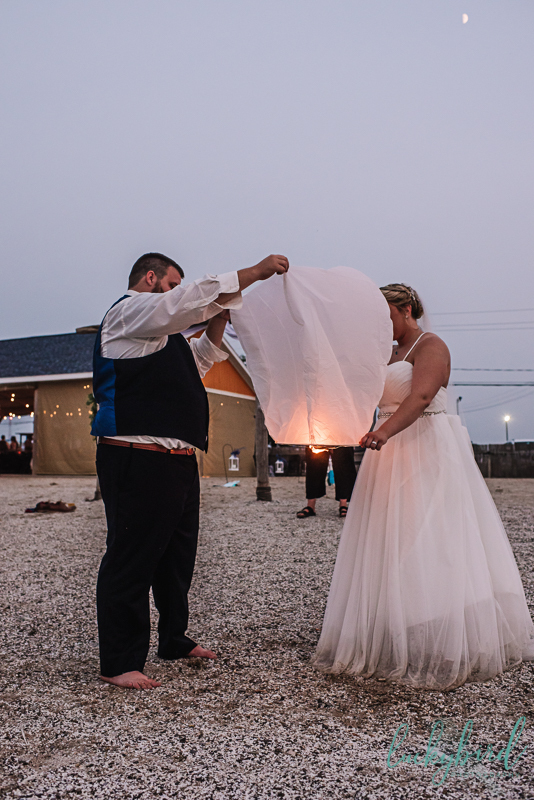 Lexie included several tributes to her late mother, from a chair reserved at the ceremony to a special touch on her wedding bouquet to a paper lantern sendoff at the end of the night. 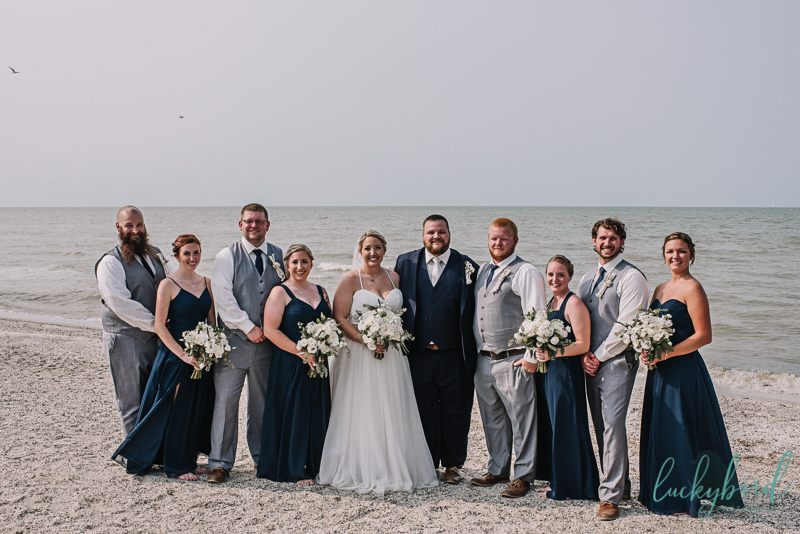 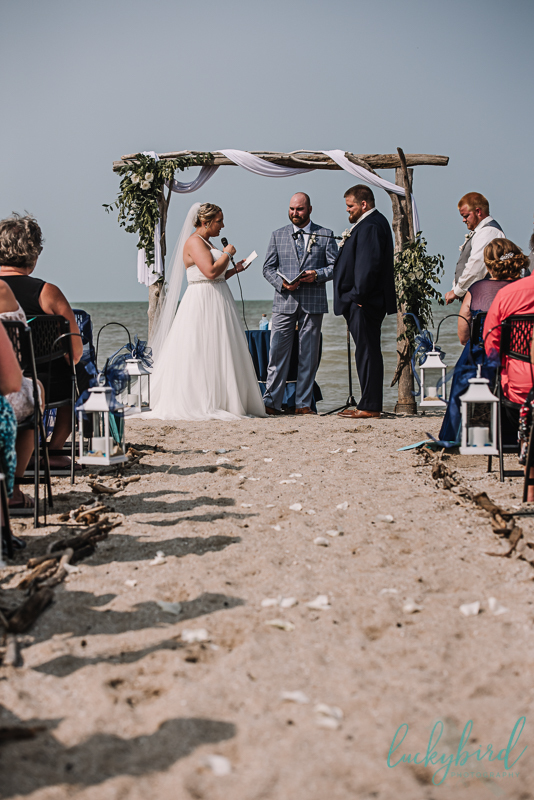 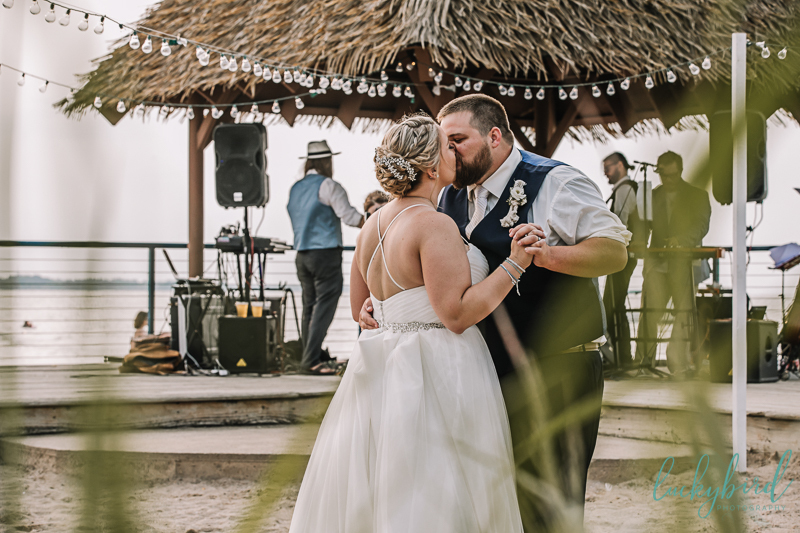 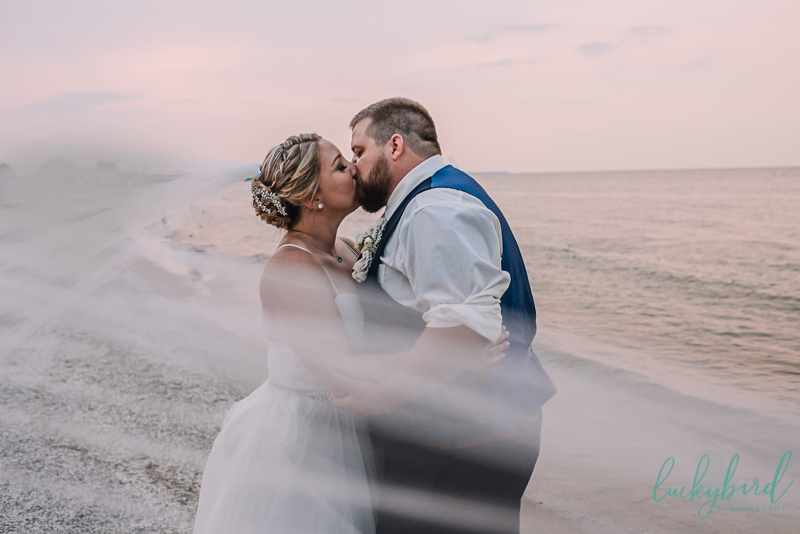 Their colors were navy, gray, and lots of greenery along with nods to the beach and the water with nautical looking knots and decor. 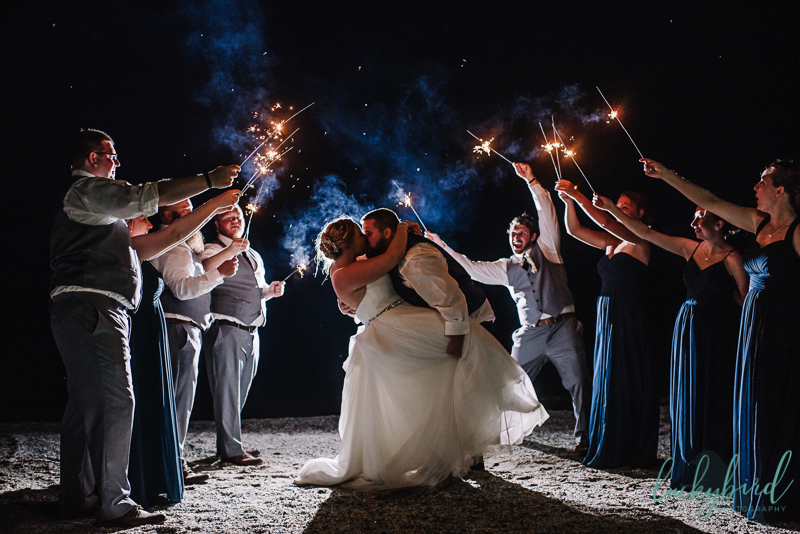 Along with some sunset photos, we also did a fun sparkler exit with the couple’s wedding party to end the night. 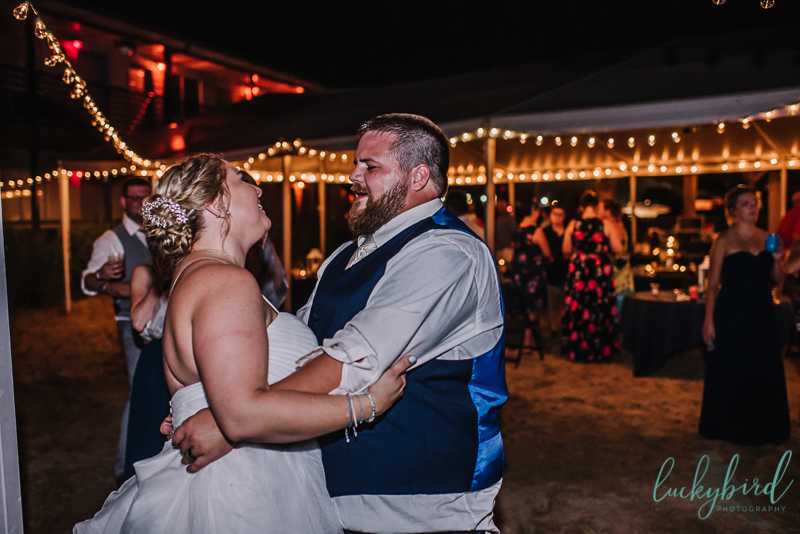 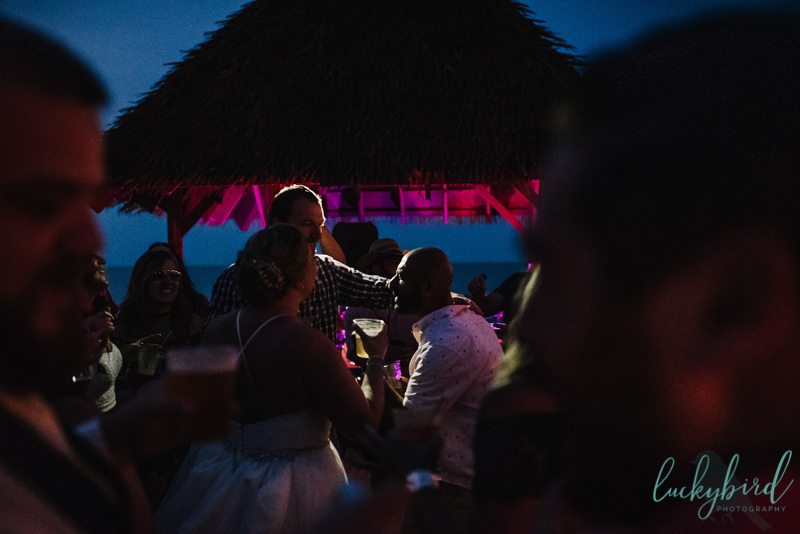 There was plenty of dancing and fun right there on the sand to end the night – it was picture-perfect!